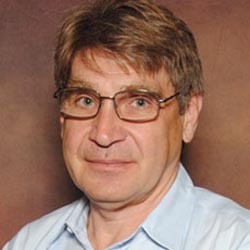 Dr. Stefan Hanson (Ph.D., M.B.A., New York University) is Professor of Business Administration. Dr. Hanson is also an attorney (J.D., Chapman University) and member of the California State Bar Association. Dr. Hanson has taught at New York University, the University of Maryland at College Park, Chapman University and elsewhere. He also has worked as an attorney in private practice and as a business consultant. Dr. Stefan Hanson has conducted research and published in a wide variety of general management topic areas. Among his areas of specific interest have been studies in strategic management, especially strategic decision making, including the performance implications of the speed of strategic decision making. He also has a special interest in international business, especially in managerial issues related to globalization. Dr. Stefan Hanson’s areas of expertise include (a) general management, (b) strategic management, (c) strategic decision making, (d) international business, and (e) law.